The cultural and shopping centres of Manchester, Leeds and Liverpool, the west coast resorts of Blackpool and Southport, and the National Parks of the Lake District and the Yorkshire Dales are all within easy reach. 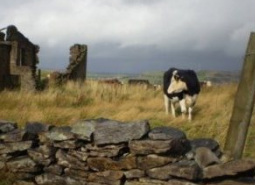 Rossendale has more public footpaths within its boundary than any other borough in the country. "The hills and valleys create an ever-changing landscape. 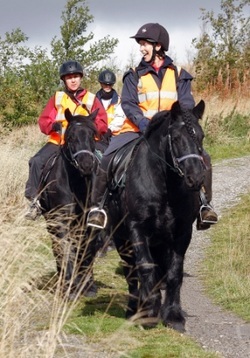 The moor tops are atmospheric and the valley bottoms are full of surprises." The Rossendale Way is a 42 mile circular route around the borough boundary - perfect preparation for longer walks such as the Coast-to -coast and Pennine Way. Peers Clough Farm is situated on The Mary Towneley Loop of the Pennine Bridleway, a 47 mile circular route through the Pennines of East Lancashire and West Yorkshire. Check website for limited opening hours. Take the opportunity if you can! The East Lancashire railway takes a trip back in time through the beautiful Irwell valley - great themed events. www.rossendale.gov.uk>eventA Farmers Market is held on the first Sunday of every month in Helmshore, and fourth Sunday of every month in Rawtenstall. ​Check them out for the best in fresh local produce. The area boasts many unique mill shops - including Oswaldtwistle Mills and Boundary Mill, Colne. Bury's world famous market - a prize-winning, traditonal market which oozes charisma and fine produce. The southern loop takes you past mighty Pendle Hill, with its association with witchcraft across the brooding west and South Pennine Moors. 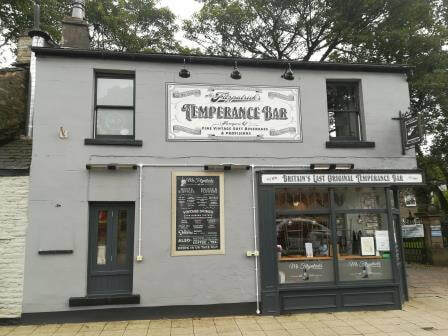 The oldest original temperance bar in Britain. The Fitzpatrick family were renowned herbalists and ran a chain of bars throughout Lancashire. You can still enjoy award-winning home made cordials such as sarsaparilla and dandelion and burdock in an authentically nostalgic atmosphere. Lancashire's Panopticon Trail includes sculptures in Blackburn, Rosssendale, Burnley and Wycoller. The stunning Singing Ringing Tree is situated not far from the farm, and close to the Dunnockshaw Millennium Wood through which run many paths and bridleways. 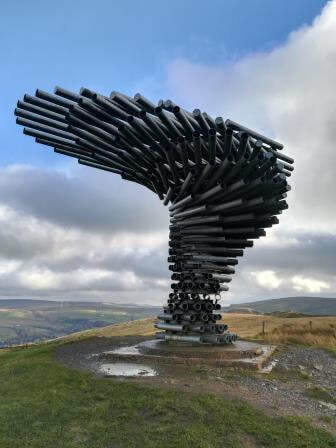 ​The Singing Ringing Tree is a musical statue constructed of galvanised steel pipes in the shape of a windblown tree.